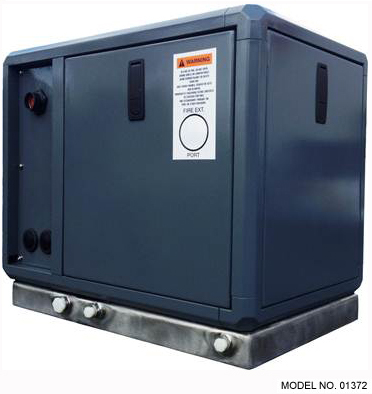 Super Quiet Farymann Diesel 4.3 kW Marine Generator - This Super Quiet Farymann Diesel 4300 marine diesel generator is suitable for continous use and has a sound enclosure for quiet operation. This brawny little single cylinder set has plenty of power to run your house or fishing boat and is sea water cooled. In a sea water cooling system seawater is circulated through the engine instead of fresh water or antifreeze and that sea water cools the engine directly. A heat exchanger cooling system is a "closed" system where fresh water or an antifreeze type coolant circulates inside the engine. This system is similar to a car engine where the antifreeze in the radiator is circulated through the engine. This unit includes an Farymann Diesel 18W diesel engine, brushless generator end, sound enclosure, key start panel, stainless steel drip pan and auto shutdowns for oil pressure and water temperature.